One of the exciting aspects of being a university professor is the ability to explore, discuss, and debate multiple topics with students all over the world. While many opportunities have been presented to me I was extremely excited when I was awarded the the Sverdrup Global Teaching Fellowship. This allowed me to pick campuses in Europe, North America, Asia and Africa to continue my teaching for a period of three months. I quickly selected the dream location to teach in Accra, Ghana. 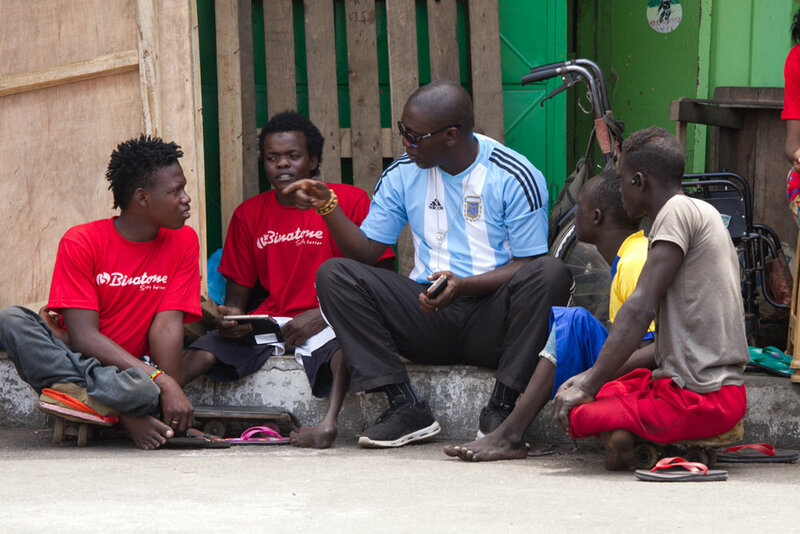 While conducting my research in preparation for my trip, I came across a unique story of an organization with the goal to raise awareness of polio through the sport of football (soccer). This immediately caught my attention and became one of my main goals to witness while I passed my time in Ghana. My trip started with a 1:30 am flight from Bangkok to Accra via Addis Ababa. Although a long journey everything went smoothly and I was picked up at the airport by a university staff member. As soon as we left the airport I started to see street beggars on the side of the road. 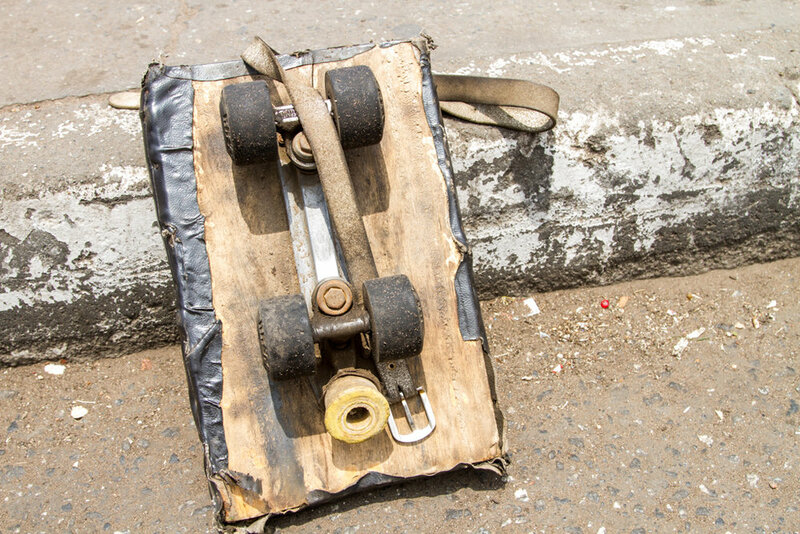 This is common all over the world but one aspect that stood out for me was the fact that many of these people who are physically challenged were moving on small home-made skateboards. I asked the university staff if this was common and his reply was that there used to be a high rate of polio in Ghana, which is now successfully being combatted, however this has left a lot of people with paralysis and unable to work. He went on to explain that many individuals were now turning this personal challenge into sport by playing a form of soccer. Once settled in I started to ask staff, students and faculty but no one seemed to have heard about this sport that I was talking about. The most common response was how does this teacher from Thailand know about a sport being played in Ghana and we do not. The more I read about the sport the more interesting it became. The organization running the event is called The International Federations of Skate Soccer (IFSS). 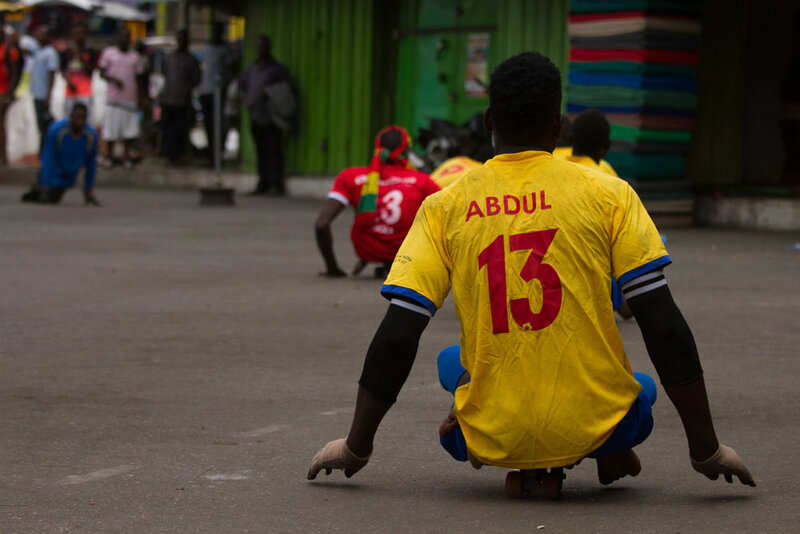 Skate soccer is a unique game with the goal to raise awareness for the eradication of polio, change perspectives of the physically challenged and to provide good sportsmanship. 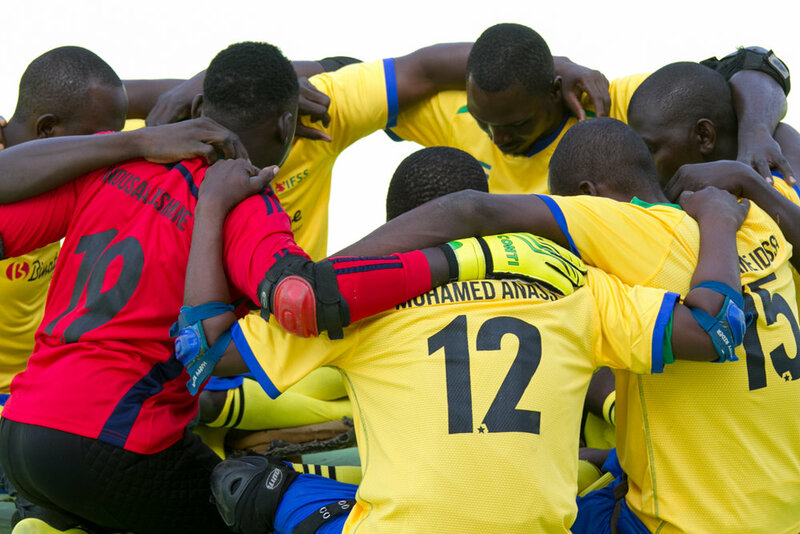 The players are physically challenged and are mainly polio survivors. 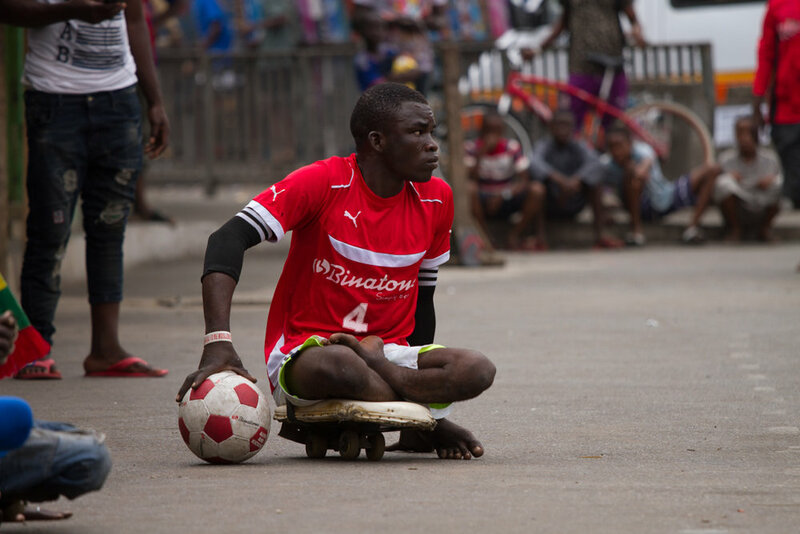 The players sit on homemade boards, slightly larger than a skateboard and play association football. The players control the ball with their hands and with a few exceptions follow all regular football rules. 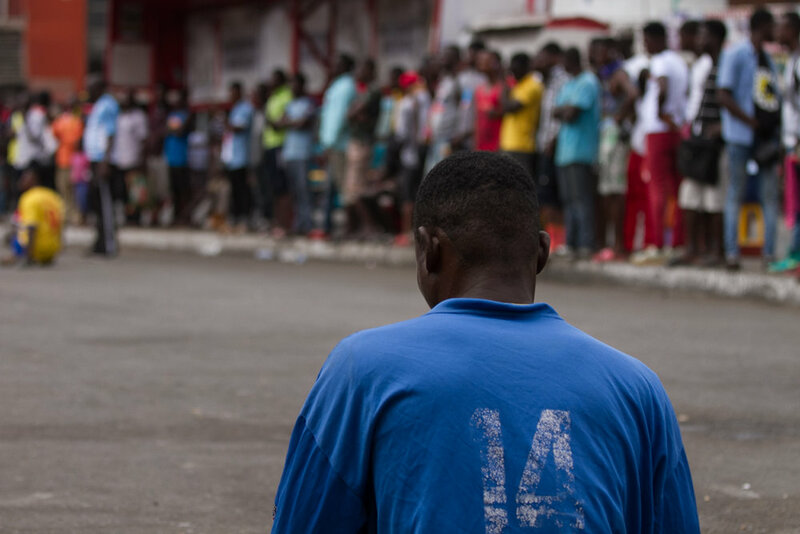 It was my luck that two weeks after my arrival a game between Ghana and Togo would take place. 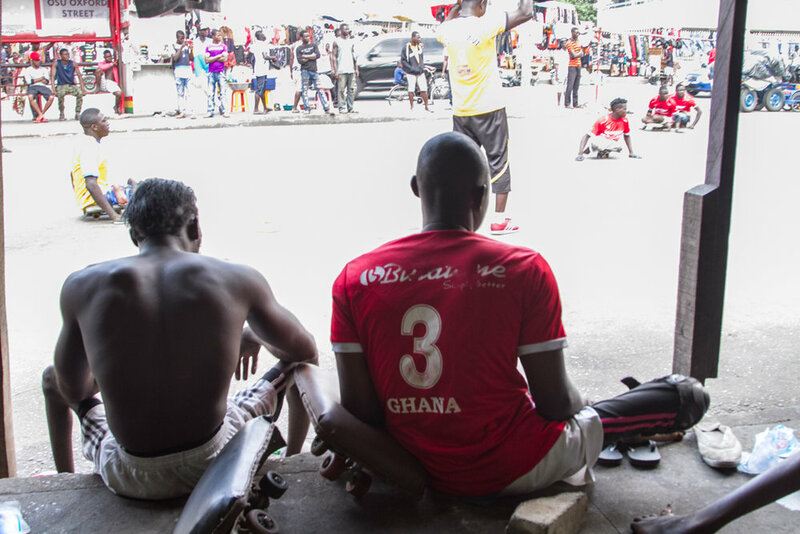 Ghana, known as the Rolling Rockets, is known for currently being one of the best teams in the sport and were looking forward to a great game against the Togo Hawks. 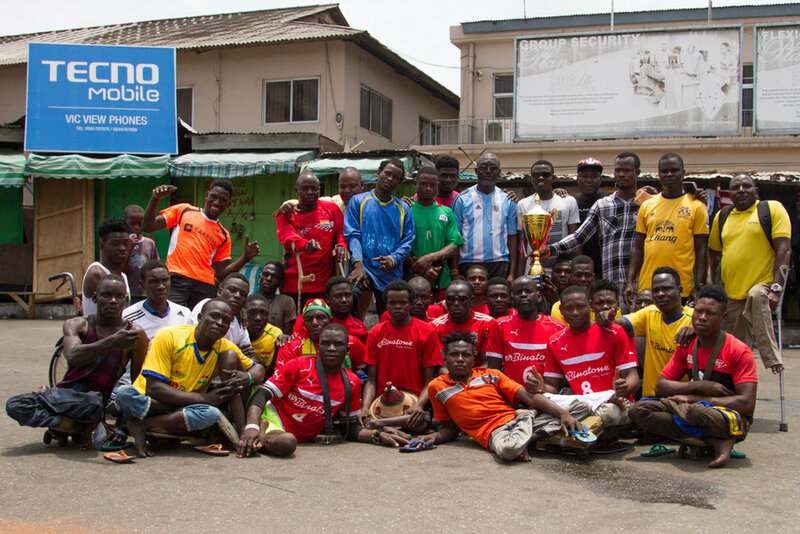 I had reached out to CEO of the IFSS, Albert Frimpong, who invited me to join the match. On game day I headed to the Accra Sports Stadium expecting a small court set up with a few people around but was pleasantly surprised to find huge banners, flags, sponsors and loud music with a live DJ. 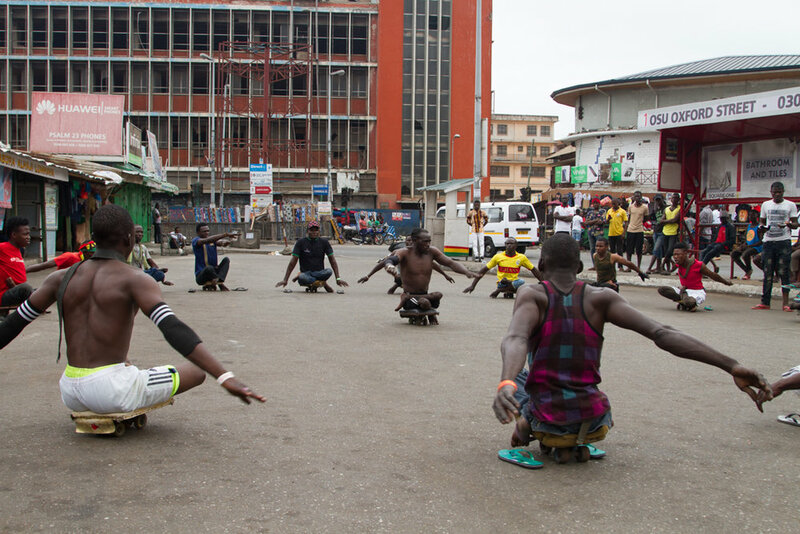 As we are used to in Thailand, events in Ghana also do not always start right on time but it did allow time for the dance and acrobatics show that kept the audience engaged. As the time came nearer the crowd start to grow and a live band with drums and trumpets started playing. The first bus to arrive, all the way from Togo, was the Togo Hawks. As these men came off the bus you could easily see the great athletic ability of the players. Soon after a large group of local fans were dropped off all of whom had different physical challenges but were filled with energy to watch the upcoming game. I could feel electricity in the air as the Rolling Rockets of Ghana arrived. As these proud men came off the bus I was no longer looking at men with physical challenges but athletes in prime condition. 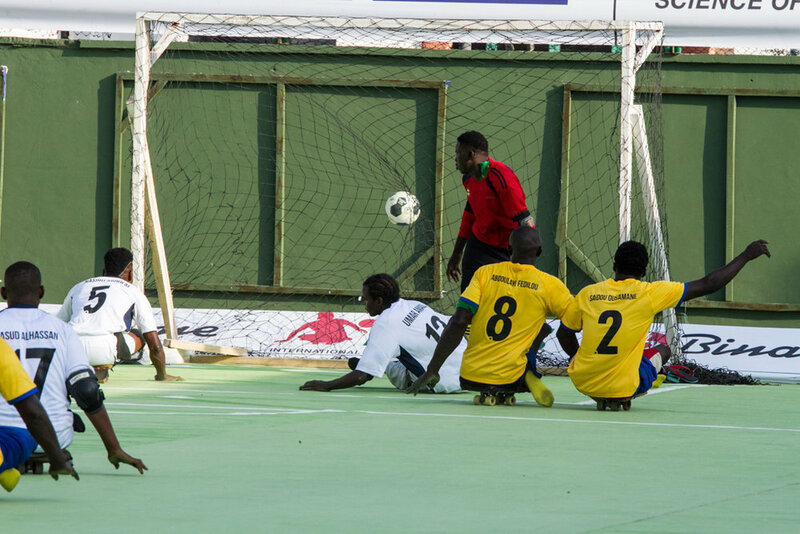 I found it interesting as to see the crowd filled with sponsors, the financial elite, celebrities and locals and as the game went on many fans who came off the streets who had physical challenges. 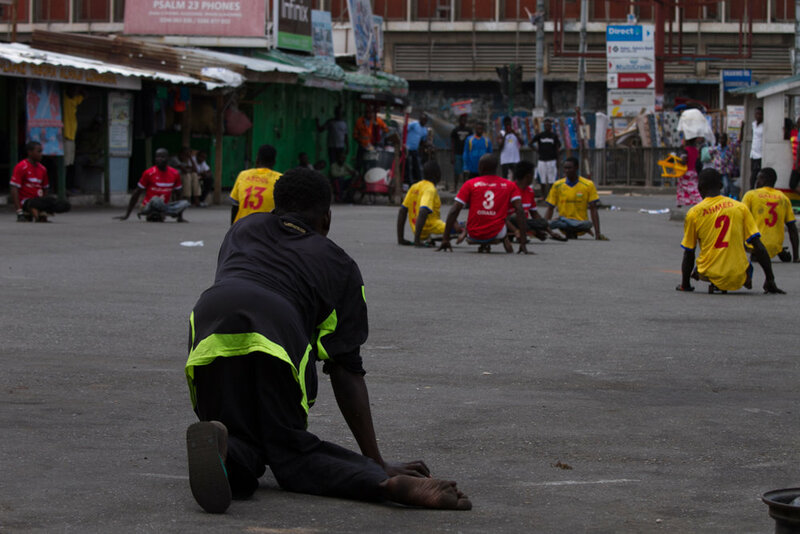 As I took pictures of the event I noticed people were no longer watching a game to raise awareness of polio survivors being played by physically challenged people. We were all there as fans watching an outstanding sports game. I even saw the university driver at the game standing and cheering for his country of Ghana. 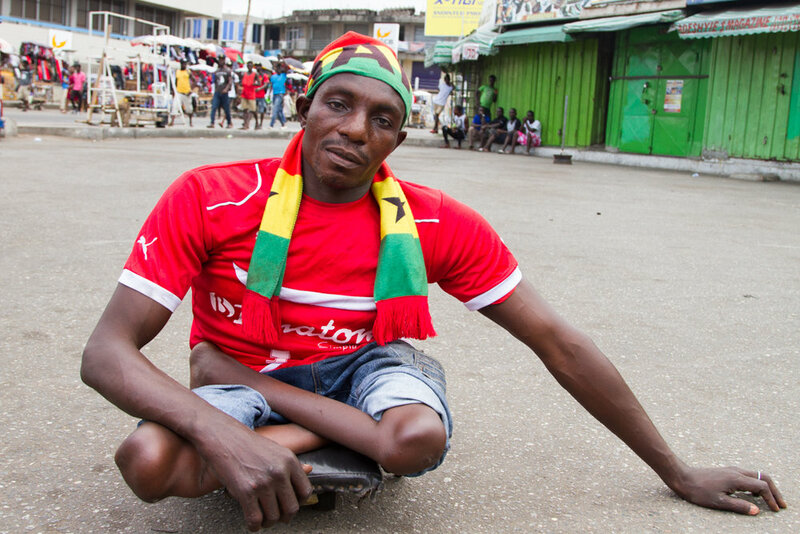 It was hard not to cheer for Ghana, as they played their experience, physical fitness and passion was intoxicating. Plus, the home crowd were so loud it was hard not to get involved. 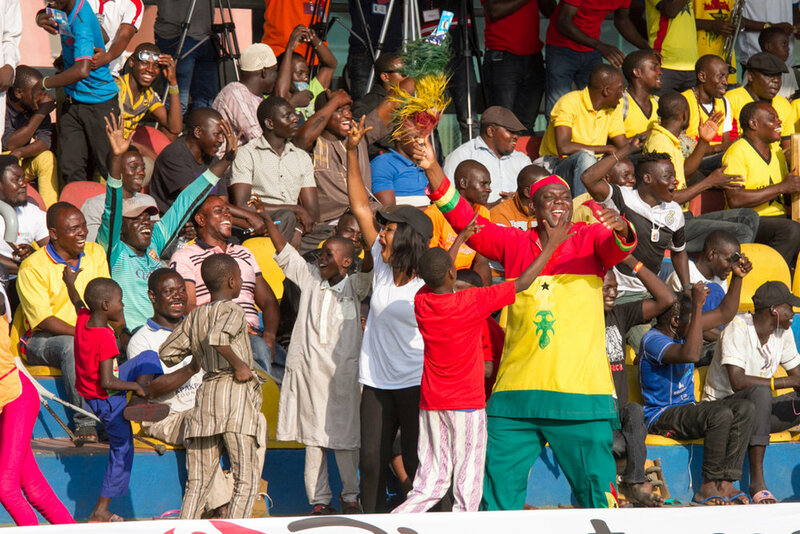 In the end the Ghana won 5-1 in an exciting match. 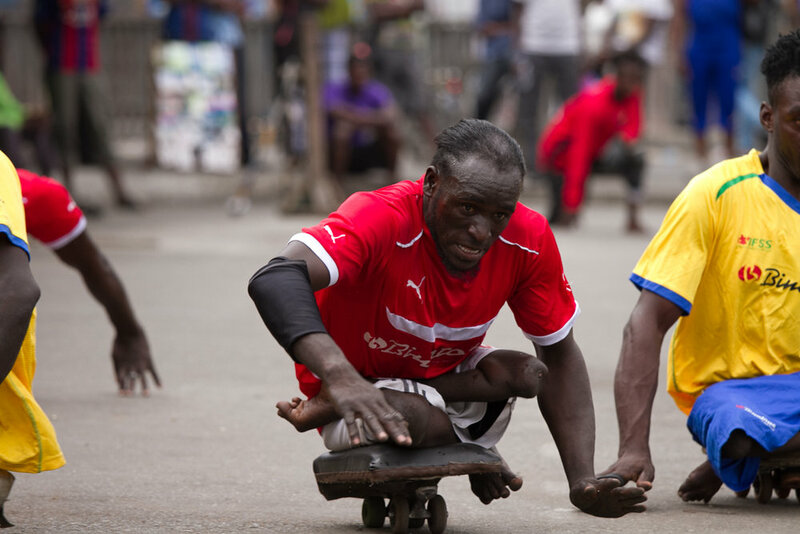 The IFSS hopes that with the growth of the sport that more jobs will be generated for the physically challenged. With the aim of changing the perception that is often held about people with physical challenges. 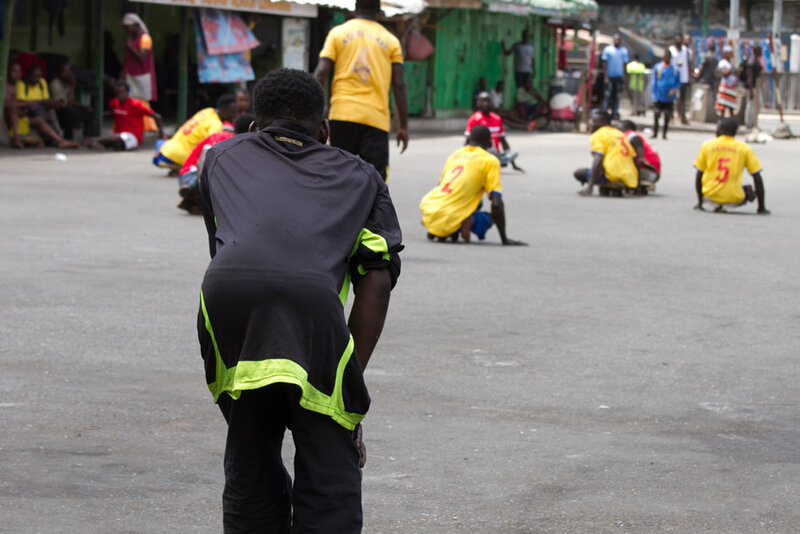 In my remaining time in Ghana I hope to photograph these athletes more, bringing back stories to share with students, our future leaders, to show the impact that a small group can have on a global scale. 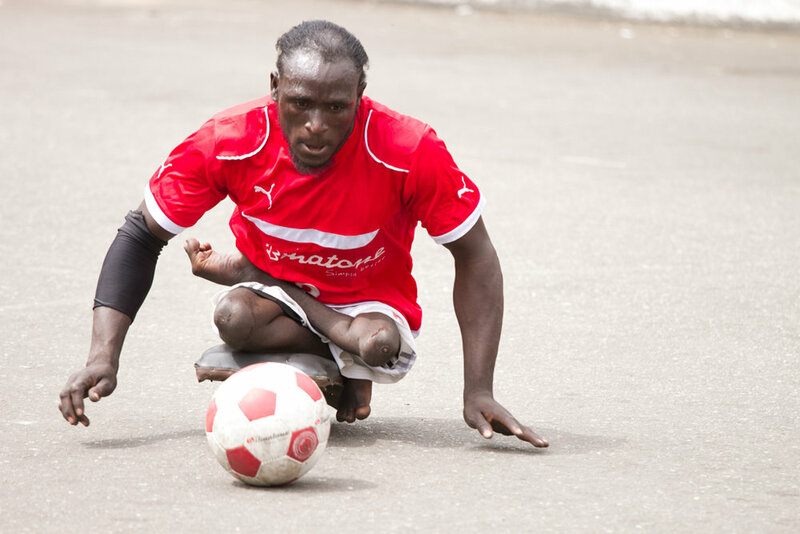 Demonstrating the ability and drive to overcome challenges these athletes truly participated in a game that left the audience wanting more. 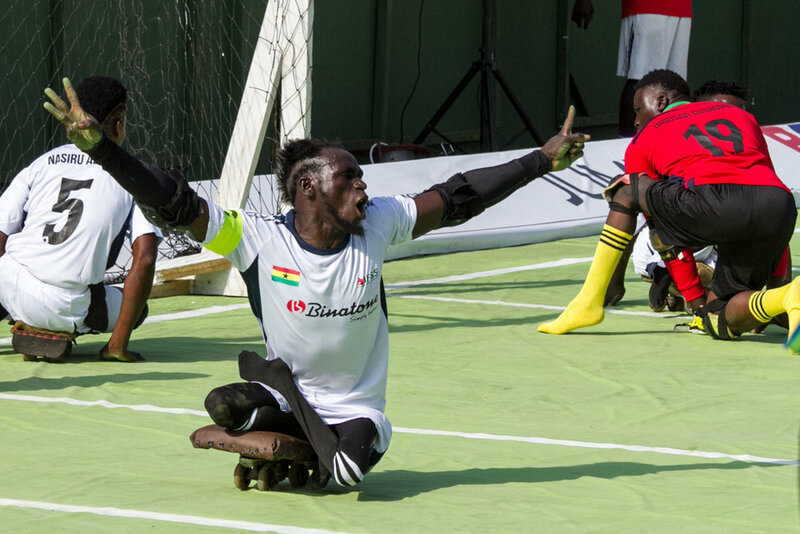 The IFSS is growing quickly, gaining larger sponsorship, and have the target of adding Skate Soccer into the Paralympics. I can honestly say that I went to the game expecting a small charity event and left a huge fan of these outstanding athletes and I have no problems stating that it was one of the most enjoyable sporting events I have ever attended. I really hope that this story will inspire to football loving nation of Thailand to create its own team and possible challenge the Rolling Rockets in a Skate Soccer international. 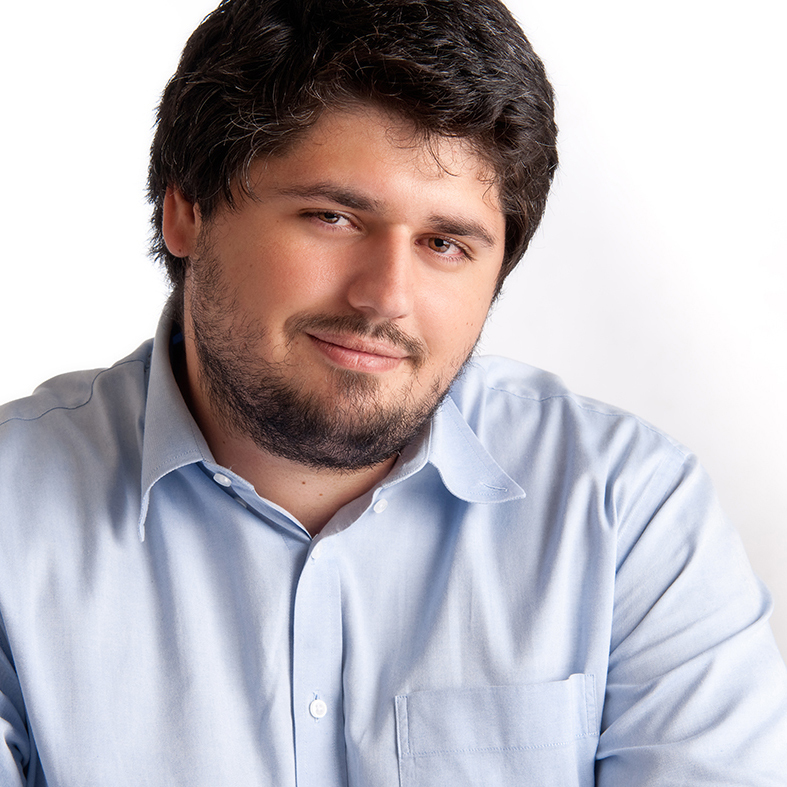 Welcome to my BLOG. I will be sharing content from my work as a teacher, news articles and my personal photography projects updates.